Editor’s Note: A special court is likely to decide the fate of former telecom minister A Raja, DMK MP Kanimozhi and several others in the much-anticipated 2G spectrum allocation scam cases. For a quick understanding of the scam, read this shorter explainer by Shalini Singh, reporter who broke the story. 1. What is the allegation? Raja sold licenses/2G spectrum to a handful of arbitrarily selected (120 out of 575) companies in January 2008 at a bargain basement 2001 price. In doing so, he not only violated the law, committed several improprieties, but caused a loss to the exchequer of at least Rs 40,000 crore. 2. 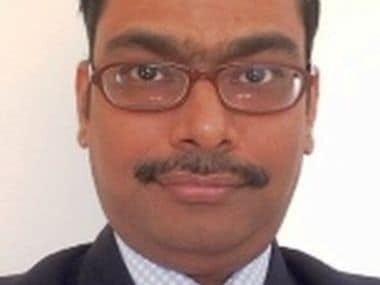 How was the spectrum scam executed? 1. Inviting companies who were not in the telecom business to put in applications for licenses / 2G spectrum. 3. Is Raja’s conduct illegal or improper? There are specific violations of the TRAI Act which are admitted through the evidence / press releases of the department itself as well as responses to Parliamentary questions. Apart from blatant violation of the TRAI Act and ignoring three written DOs of the independent statutory regulator – TRAI – in the matter, there is a high court decision (single and double bench) which has already held that the cutoff date used by Raja to select only 120 out of 575 applications was blatantly illegal. Each of these letters was written to Raja before 10 January 2008 – the date on which he decided to proceed with first come first served using an arbitrary cutoff date of 25 September 2007. · DoT had sent a reference on 13th April 2007 (page 158, 159), seeking the recommendations of TRAI under Section 11 on issues such as capping of number of operators, M&A, and other terms and conditions relating to UAS licenses. · Raja took office in May 2007 (page 2). · Between August and October 2007, 46 companies filed 575 applications for UAS licenses. · Suddenly and without any notice, a 2-line press release appeared on the DoT website on 24 September 2007, announcing a cutoff date of 1 October 2007 – which had never been done in the past. It left companies four working days to apply. This made sure that most genuine telecom operators, including and especially MNCs, were not in a position to submit applications because it takes at least 4 – 6 months for a company to file an application, including seeking FIPB clearances, finding JV partners, transferring equity and meeting all license conditions etc. A 4-day notice ensured that the genuine service providers / MNCs were kept out of the fray – i.e. Etisalat, Telenor, Bahrain Telecom etc could not apply for licenses. · In spite of this sudden cutoff date, 575 applications were received. In fact, of the total 46 companies, as many as 18 filed their license applications after the 24 September press release – almost all of them Indian and mostly from the construction industry. · On 19 October 2007, DoT announced dual technology related policy in which it clearly stated that “TRAI’s recommendations relating to no cap on the number of service providers in any service area has been considered and accepted”. · Immediately following this press release, Raja received letters from D.S. Mathur, Secretary, DoT, N. Misra, Chairman, TRAI, Dr. Subbarao, Finance Secretary and the Prime Minister’s office – all recommending a different course of action than the first come first served distribution of spectrum / licenses at 2001 prices. All were ignored. · On 31 December 2007, D.S. Mathur, Secretary, DoT retired. On 1st January 2008, Siddharth Behura from the Ministry of Environment (Raja’s previous ministry) took over as Secretary, DoT. · Through this press release, the DoT said two contradictory things: that they accepted the recommendation of no cap and at the same time they implemented a cap by processing applications received only till 25 September 2007 and not all applications received within the official cutoff date – 1 October 2007. In essence the pretence was to show that TRAI’s recommendations were being followed chapter and verse but in effect the exact reverse was being done. · The no cap recommendation of TRAI refers to Section 6.1, Chapter 6 of TRAI’s recommendations of 27th August 2007 (page 150). · This was a clear violation of the TRAI Act – since any deviation from the TRAI recommendations makes it mandatory for the government to refer the matter back to TRAI (Section 11, fifth proviso of the TRAI Act). 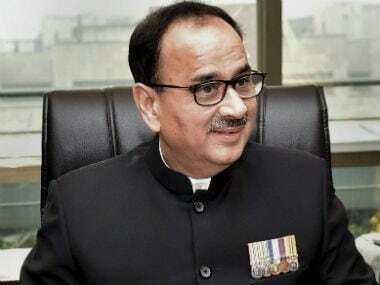 · The judgment of the single bench was appealed by the government through the Attorney General in the Delhi High Court Chief Justice’s double bench. The double bench upheld the single bench’s order. “We do not find any infirmity in the impugned order of the learned Single Judge. Consequently, the appeal is dismissed with costs of Rs. 20,000 which will be paid by the Appellant to the Respondent within four weeks”. · The matter then went to the Supreme Court, from where the matter has been withdrawn on S Tel’s request. The government’s appeal to the Supreme Court to quash the judgment of the Delhi High Court has been thrown out. The Supreme Court has upheld the judgment and therefore as per the prevailing law, the press release announcing the cutoff date of 25 September 2007 which was released on 10th January 2008 stands quashed. · There is no bigger proof of the fact that Raja conducted a blatant illegality. In fact, the question is: why is it that the government refuses to challenge this judgment in the court and what will it do to implement the judgment since the decision of Raja relating to the cutoff date has been quashed? Consequently, this means that all 46 operators till 1 October have the exact same rights (under first come first served) to spectrum and license. Clearly, there isn’t sufficient spectrum for everyone and therefore first come first served as a concept fails not only in theory but also fails the test of legality. 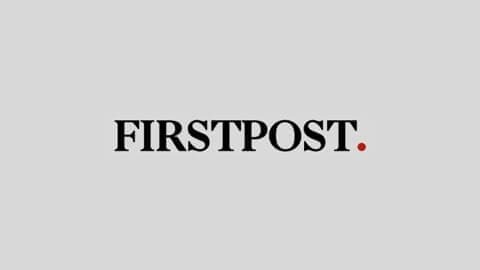 · This is not a question of impropriety but pure simple illegality – through two judgments of the Delhi High Court and violation of the TRAI Act. · The primary recommendation of the TRAI on 27th August 2007 relates to the number of operators in a service area – (Section 6.1, page 150). · Two press releases accept the fact that the no caps recommendation has been accepted – 19 October 2007 (page 193) and 10th January 2008 (page 200). The second press release was in fact sent on the directions of A. Raja himself. · While Raja has said in countless interviews, press articles and press releases that “the no cap recommendation of the TRAI has been accepted”, he has in effect done the exact reverse. · By processing only 120 of the 575 applications (through an arbitrary cutoff date of 25 September 2007) he has in fact imposed a cap. No other operator, nearly 2 ½ years after the 10th January 2008 press release, has been given license or 2G spectrum from the list that had applied. DoT has, in the S Tel matter, informed the Delhi High Court as late as mid-2009 and again in October / November 2009 (Chief Justice) that the “remaining applications have been held in abeyance”. This clearly means that a cap has been imposed. The situation remains unchanged till date. · Not only is this misleading to the general public as well as in Raja’s response to Parliamentary questions, but in fact is a blatant violation of the TRAI Act. · The recommendations made by the TRAI on no caps and the TRAI Act under Section 11 (1) (a) (ii) – Terms and Conditions of License – requires that any modification or change on the recommendations needs a compulsory / mandatory re-reference back to TRAI before a change is implemented. No such reference has been made – in spite of multiple requests by TRAI to do so. · Therefore, recommendation 6.1 stands clearly violated and by consequence the TRAI Act stands violated. This is not a question of impropriety. It is clear and simple illegality. · DoT, in its reference of 13th April (page 158, 159), specifically sought TRAI’s recommendations on M&A rules under Section 11 (1) (a) (ii) – Terms and Conditions of License. · TRAI responded specifically with regards to this reference in its recommendation dated 27th August 2007. (Section 6.31 (iv)), which clearly stated, “Any proposal of permission of merger and ‘acquisition’ should not be entertained till rollout obligation is met”. (Page 156 / 157). · This prohibition on both merger and acquisition (and not just merger), read with the rollout obligation laid out in the UAS license and the TRAI recommendations (Section 5.2 – page 134), clearly meant that neither mergers nor acquisitions could take place in metros for 1 year for in any of the other service areas for 3 years from the effective date of the license. · Raja, after giving away 120 LoIs in January 2008, rewrote the M&A guidelines on 22nd April 2008. In this, he cleverly dropped the word ‘acquisition’ from the recommendations of the TRAI – thereby not only surreptitiously deviating from TRAI’s core recommendations relating to M&As but in fact violating the TRAI Act in doing so. · The new M&A guidelines of 22nd April 2008 placed a prohibition only on mergers for 3 years, but did not place any prohibition on acquisitions (Section 17): “Any permission for merger shall be accorded only after completion of 3 years from effective date of license”. (Page 207). · This careful deviation by leaving the word ‘acquisition’ out of the M&A guidelines allowed Swan and Unitech to sell stakes (to be acquired) by Etisalat and Telenor respectively in September / October 2008. If the M&A guidelines had been implemented as per TRAI’s recommendations (Section 6.31 (iv)), neither Swan nor Unitech would have been able to sell its equity and create massive valuations in spite of receiving spectrum cheap. · So in effect, Raja changed the M&A rules by ignoring TRAI’s recommendations and violating the TRAI Act only to allow facilitation of equity of these licenses. · Additional questions on whether the government consulted TRAI before deviating from these guidelines have not been answered by Raja. Neither has he answered on the effect that such deviation without consultation can have. · The admission in Parliament of the deviation needs no further proof of evidence and is sufficiently incriminating. · Moreover, under Section 11, fifth proviso of the TRAI Act, any deviation from TRAI’s recommendations received under Section 11 (1) (a) (ii) relating to Terms & Conditions of the License must be mandatorily re-referred back to TRAI. Raja has failed to do so and therefore the new M&A rules are not just a violation of the TRAI Act but are blatantly illegal and in violation of established case law. · DoT, in its reference of 13th April 2007, specifically sought recommendations on rollout obligations (Section 2 (v), page 158, 159). · The TRAI, in its recommendations of 27th August 2007, examined the rollout obligations in detail and recommended in Section 5.14 (page 139) that “Keeping the above in view, the authority recommends that the present provisions of rollout obligations should not be changed for all the access service providers”. · The DoT, however, changed the rollout obligations from the existing (at that time) one – and confirmed by TRAI in its recommendation, through its license amendment dated 10th February 2009. · Essentially, it changed the rollout obligation from ‘effective date of license’ to ‘date of allocation of startup spectrum’. · Even if there was merit and good reason for this change, the process for deviating from TRAI’s recommendations is laid down in the TRAI Act (Section 11, fifth proviso) which requires the DoT to re-refer the matter back to the TRAI for reconsideration. · DoT did not do so and therefore violated the TRAI Act. In part, this was also done to ease the pressure on the non-telecom companies which had bagged licenses at bargain basement prices. Clearly they had no plans to launch service in any event. This relaxation further allowed them to concentrate on finding a buyer rather than building out the network. · The amendment of 10 February 2009 to relax rollout obligations (in violation of the TRAI Act and in direct violation of TRAI’s recommendations – Section 5.14 – 27 August 2007) was done nearly 1 year after the effective date of license. During his one year period, if TRAI’s recommendations on existing rollout conditions had to be met then metro licenses would have been obligated to legally cover 90 percent of the service area and circles would have been obligated to cover at least 10 percent. So at this stage, instead of sending liquated damages as prescribed under the license conditions, Raja chose (in violation of the TRAI Act) to give another relaxation to the new entrants and modified rollout obligations in a manner that had never been done in the preceding14 years since mobile licenses were first issued in 1995. · This special dispensation cost the exchequer thousands of crores in liquidated damages, delayed networks and it was reported that by January 2010 (2 years after effective date of license) only 30 percent of the 120 licensees had launched services. · Again, this is a clear illegality and not a mere impropriety. · In any event, if TRAI’s rollout obligations alongwith TRAI’s guidelines on M&A had been met (as recommended in Section 5.14 and Section 6.31 (iv)), then no sale of equity through Swan or Unitech would have been possible unless rollout obligations were completely met. That would have made sure that the networks were rolled out and no windfall gains were attributed to licensees till January / March 2011 (completion of 3 years). · All of these obligations were changed without consultation of the TRAI to benefit companies and in violation of TRAI’s specific recommendations which kept rollout obligations consistent across operators since it is a level playing field issue and has major cost implications. · Again, this is an illegality committed to benefit select few companies. · Secretary, DoT, D.S. Mathur specifically wrote an internal note on ___, evaluating the three options for allocation of 2G spectrum / licenses – first come first served, benchmarked pricing and auctions. He clearly recommended that the only legally tenable position would be to hold open, transparent multi-stage bidding and auctions to give away 2G spectrum. This note was written well before 10th January 2008 and was co-signed by Member, Finance, Ms. Manju Madhavan. · Raja not only ignored this letter from the seniormost bureaucrat in DoT and Chairman of the Telecom Commission, but in fact, feigned ignorance altogether. · Finance Secretary, Dr. Subbarao (now RBI Governor) wrote to the DoT on 22 November 2009, questioning the entire concept of first come first served and the sale of precious 2G spectrum / licenses at 2001 prices. Further, he directed the DoT to put all activities in this regard (allocation of licenses) on immediate hold. 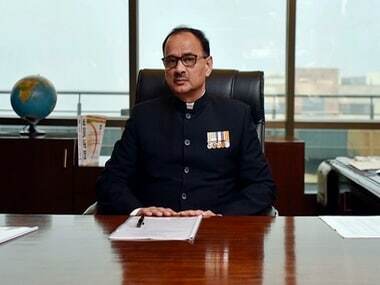 · Raja snubbed him through the Secretary, DoT’s office, citing a Cabinet decision of 2003 – taken by the previous BJP / NDA government as a reason why licenses have to be given at historical prices. · Chairman, TRAI, sensing the fact that the DoT was routinely making press statements and putting out press releases, aimed at deviating from the recommendations of 27th August 2007 and ignoring the inter-linkages, wrote not one but three separate letters / DOs to the Telecom Ministry. These were dated 15 October 2007 – CP/TRAI/2007, 19 October 2007 – CP/TRAI/2007, and eventually, 14th January 2008 – 103-1/2008/MN. · In all three letters, the Chairman, TRAI cautioned DoT about the “legal provisions of processing recommendations of TRAI”. He clarified, “It would be unfair and misleading if any decision and consequent action is initiated without identifying and implementing the linkages elsewhere in the recommendation”. He pleaded that “It is reiterated that the authority should be formally consulted if there is any deviation from the totality of the recommendations”. · By this, he meant that the no cap recommendation needs to be read alongwith all the other recommendations, including prohibition of M&A for 3 years, no change in rollout obligations etc. · All official letters / DOs of TRAI fell of deaf ears. DoT did not take any of these into consideration. This in spite of the fact that these letters were a legal reminder from the statutory body under the act, informing the government that it was mandatory for the government to consult the TRAI (under Section 11, fifth proviso) in case there are any deviations from the recommendations. · Raja not only ignored the letters, but cherry-picked from the TRAI’s recommendations, implementing different ones at different times and modifying them suitably to suit the companies that he favored. · This also flies in the face of Raja’s repeated comments that the TRAI’s recommendations were followed. TRAI itself, not only disputed but vehemently contested that there were deviations and that those deviations could not be undertaken unless the TRAI was consulted. · The law ministry, in October 2007, was asked for an opinion by Raja with regards to the allocation of spectrum on first come first served basis and cutoff date etc. · The then law minister informed him that this was a matter that deserved to be placed in front of the EGoM. · Raja rejected this specific direction of the law ministry by calling it ‘totally out of context’. He snubbed the law minister and refused to follow the directions of the law ministry. · Incidentally, it is the EGoM that has decided auctions for 3G which are now about ready to yield approximately Rs. 45,000 crores. It would have been the same EGoM which Raja avoided by snubbing the law ministry. · Manmohan wrote two letters to Raja on 2 November 2007. In the letters, the then prime minister raised concerns of the industry, the shortcomings of first come first served and specifically requested the minister to consider auction for transparent allocation of spectrum. · The telecom minister not only rejected the directions of the then prime minister but in fact misrepresented to him by making him believe that by writing back, “No single deviation or departure in rules or procedures contemplated”. Clearly this was not true. · He also justified the cutoff date of 25 September 2007 (which was later held illegal by the Delhi High Court in 2009). “Provided also that if the Central Government having considered that recommendation of the Authority, comes to a prima facie conclusion that such recommendation cannot be accepted or needs modifications, it shall, refer the recommendations back to the Authority for its reconsideration, and the Authority may within fifteen days from the date of receipt of such reference, forward to the Central Government its recommendation after considering the reference made by that Government. After receipt of further recommendation if any, the Central Government shall take a final decision”. 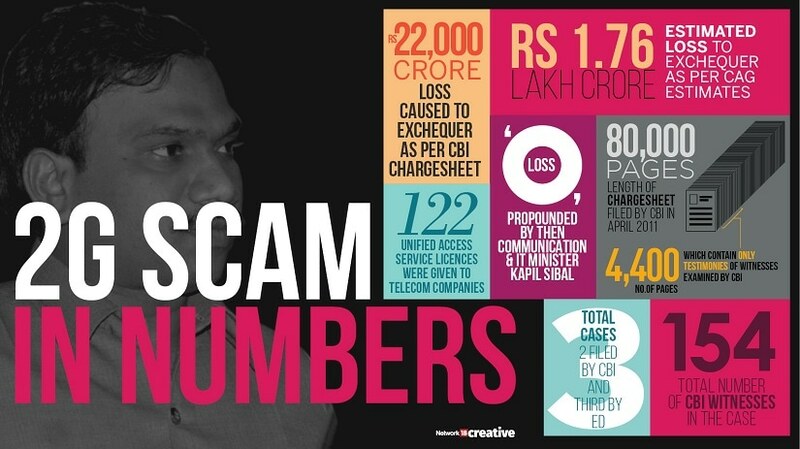 Click here to follow LIVE updates on the 2G scam verdict. किसान मार्च: किसानों के पास कोई नेता नहीं, क्या हमारे नेताओं में उनके मुद्दे की समझ है? In an unprecedented development, all accused in the three cases related to the 2G spectrum allocation “scam” have been acquitted by a special CBI court on Thursday. The CBI had claimed that Raja had devised his own way of granting telecom licences, brushed aside the first-come-first-served principle, misled the (then) Prime Minister, disregarded the concerns of other ministries and ran a parallel office at home to grant licences to whosoever offered him gratification. There is no material on record to indicate that the Prime Minister was misled, Judge Saini said while delivering the 2G verdict. ‘DoT officers themselves are responsible for the entire mess’, the court observed. + have been acquitted by a special CBI court on Thursday. 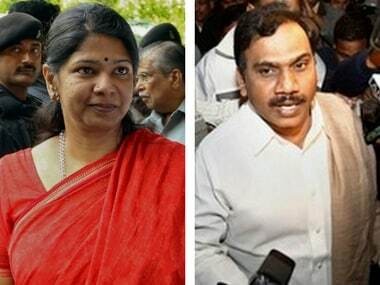 Deciding the fate of all accused, including former telecom minister A Raja and DMK leader Kanimozhi Karunanithi, the court opined, “Absolutely no hesitation in holding that the prosecution has miserably failed to prove any charge against any of the accused, made in its well choreographed charge sheet.” In its detailed judgments, running into a couple of thousand pages, the court has dissected the various aspects of the issue and the role alleged against the accused. The CBI had claimed that Raja had devised his own way of granting telecom licences, brushed aside the first-come-first-served principle, misled the (then) Prime Minister, disregarded the concerns of other ministries and ran a parallel office at home to grant licences to whosoever offered him gratification. The court observed issue of grant of licences and issuance of letter of intent (LOI) by changed criteria, which was justified by Raja, was not placed before the then Prime Minister at the right time. It was alleged that on November 2, 2007 Raja wrote a letter to the then Prime Minister, misrepresenting the facts and fraudulently justifying his decision regarding the cutoff date of September 25, 2007 on the ground that on this date the announcement of cut-off date appeared in newspapers. He allegedly also misled the Prime Minister and incorrectly stated the opinion of the Ministry of Law and Justice to refer the matter to Empowered Group of Ministers (EGOM) to be out of context. The court asked when the letter was duly discussed and considered by the Prime Minister, and no one from the PMO has been examined as a witness nor the relevant files with processing notes have been produced before the court, how can one say that the facts were misrepresented or that the Prime Minister was misled regarding the opinion of Law Minister for referring the matter to EGoM? “There is no material on record to indicate that the Prime Minister was misled or the facts were misrepresented to him,” opined the court. In court’s view, the lack of clarity in the policies as well as spectrum allocation guidelines also added to the confusion. The guidelines, it said, were been framed in such technical language that meaning of many terms are not clear even to Department of Telecom (DoT) officers. “When the officers of the department themselves do not understand the departmental guidelines and their glossary, how can they blame companies/ others for violation of the same,” noted the court. For the court, the “worst thing” is that despite knowing that the meaning of a particular term was ambiguous and may lead to problems, no steps were taken to rectify the situation. “This continued year after year. For example, in the instant case, large part of the controversy relates to interpretation of clause 8, dealing with substantial equity. The terms used in this clause include “associate”, “promoter”, “stake” etc., No one in the DoT knows their meaning, despite the fact that the guidelines were framed by the DoT itself. The interpretation of these words is haunting the DoT since these words were first used, but no steps were taken to assign them a specific meaning. In such circumstances, DoT officers themselves are responsible for the entire mess,” asserted the court. The CBI alleged that Raja received illegal gratification of Rs 200 crore for the favours shown by him to Swan Telecom Pvt Ltd in the matter of grant of 13 spectrum licences and allocation of spectrum in the year 2008­09. 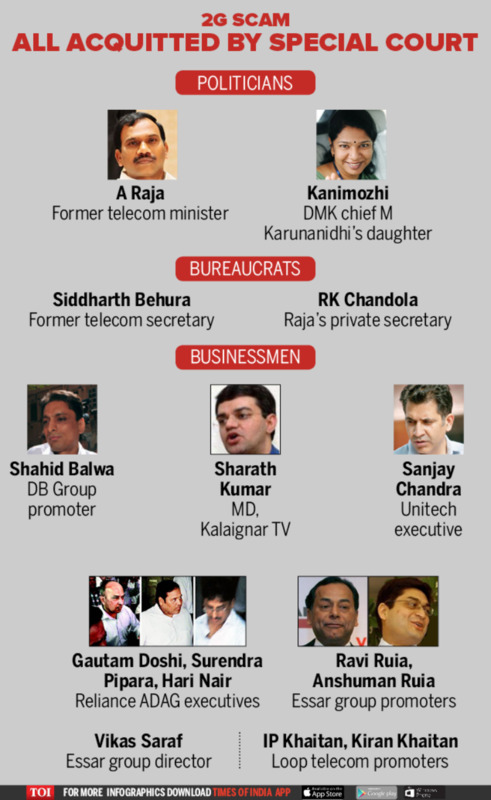 The alleged kickback was received through a channel of various companies. The money was paid by companies of DB Group through partnership firm Dynamix Realty, Kusegaon Fruits and Vegetables (P) Limited and Cineyug Films (P) Limited, which was ultimately parked in Kalaignar TV (P) Limited. Facing the money laundering charges were, 19 accused, including Raja, Kanimozhi, businessmen Shahid Balwa and Asif Balwa , and nine companies. The court found no necessity to discuss other issues based on evidence led by the parties, as that would amount to futile exercise. “The very basic fact required for constitution of an offence of money laundering, is knocked out,” the court observed. 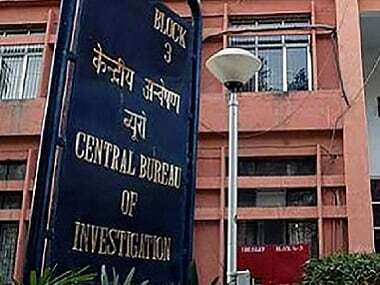 The other CBI case included accused Essar group’s Ravi Kant Ruia, Anshuman Ruia and Vikas Saraf, and Loop Telecom’s IP Khaitan and Kiran Khaitan and three companies. The CBI alleged Loop Telecom Limited was a company of Essar group or was substantially controlled by it and as such it was not eligible for applying UAS licences. But the court noted that the CBI could not prove that Loop Telecom Limited was a company of Essar group or was substantially controlled by it, there can be no false representation. As a result, the charge of cheating was dropped. In addition, the court also held that the prosecution was unsuccessful in proving any of the ingredients either of the offence of conspiracy to cheat DoT or of the substantive offence of cheating. Download The Times of India News App for Latest India News . 15 most beautiful women in the World! 10 best jobs that can make you a millionaire!